While the concept of increasing the benefit has been received favorably by the Group Insurance Commission and legislative leaders, the challenge remains securing the $9 million in new funding. Mass Retirees nearly passed the increase back in 2005, only to have had it blocked by former Governor Mitt Romney, whose administration was on record callously opposing the increased benefit for existing retirees. This year an all-out attempt was made to pass the increase as an amendment to the State Budget. The measure was carried in the House by Rep. Dan Cahill (D-Lynn) and in the Senate by Senator Brendan Crighton (D-Lynn). Editor’s Note: The Lynn delegation has long advocated for increased life insurance benefits for public retirees and employees. Despite obtaining 94 cosponsors in the House and 16 in the Senate, the amendments increasing the benefit were not adopted. In truth, very few amendments of any sort were approved and of those a small handful added new costs. “We knew it was a longshot to include the increase in the budget, but we had to give it a try. State spending is very tightly managed and it is a rare occurrence when proposals of this type are passed as amendments. Legislative leaders prefer to use the normal committee process to advance bills,” explains President Frank Valeri, who has made increasing the life insurance benefit his top personal priority. “Having lost both of my in-laws and my own dad over the past four years, I know the importance of this benefit firsthand. “We do have other opportunities to pass the increase beyond the budget. 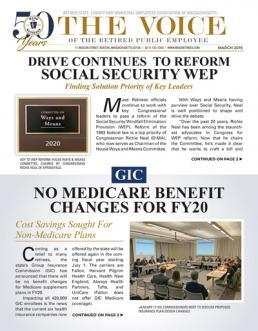 There is a healthcare reform bill making its way through the legislative process, that may include some changes to the GIC. Perhaps that is the right avenue to pass such a change.